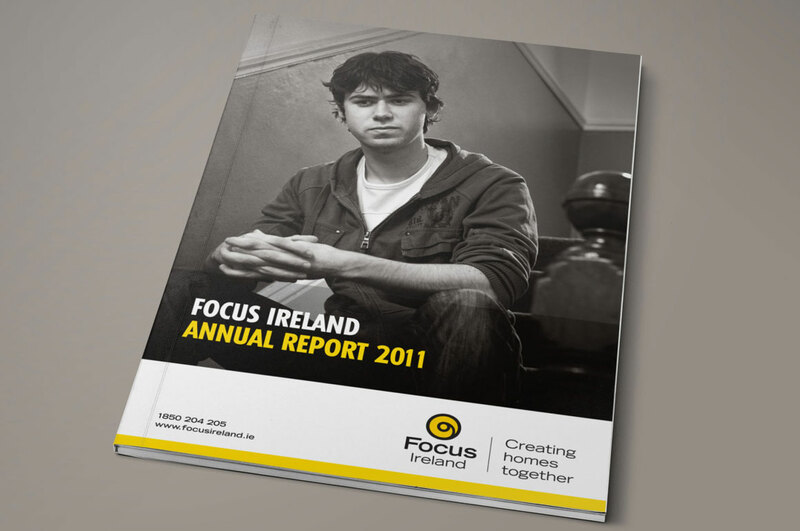 The Focus Ireland Annual Report 2011 is primarily published online, using an online reader, which can be viewed here. 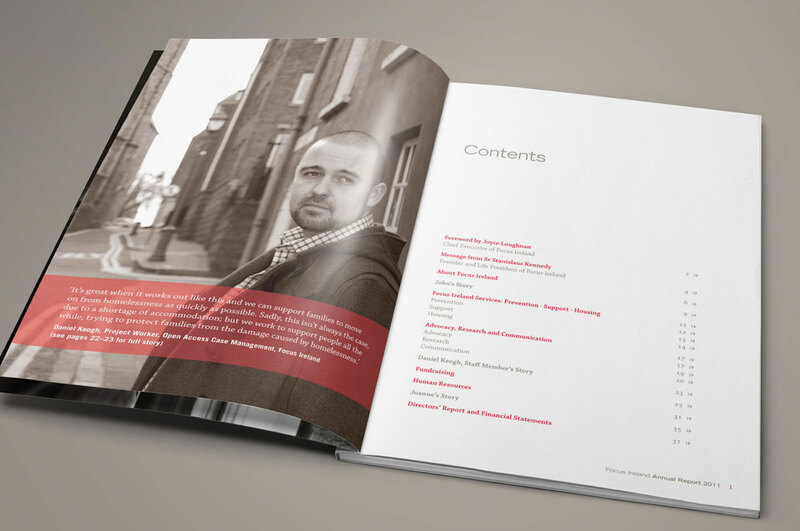 A small quantity is printed, so the design must work in both online and printed formats equally. 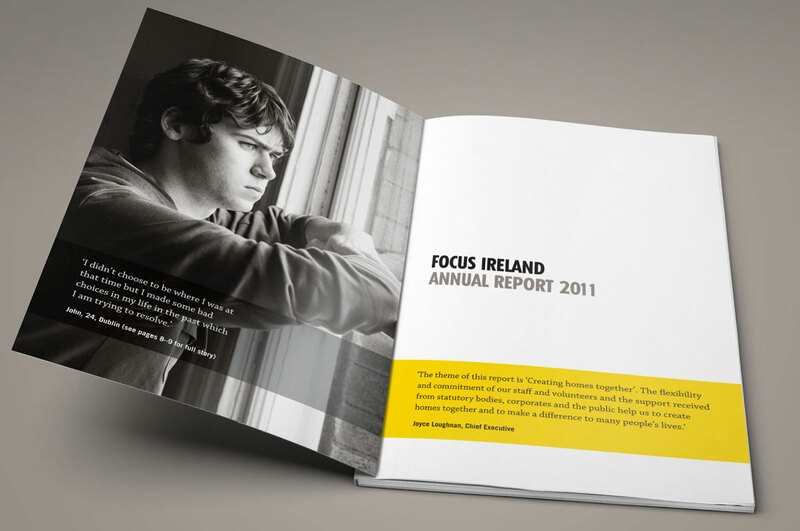 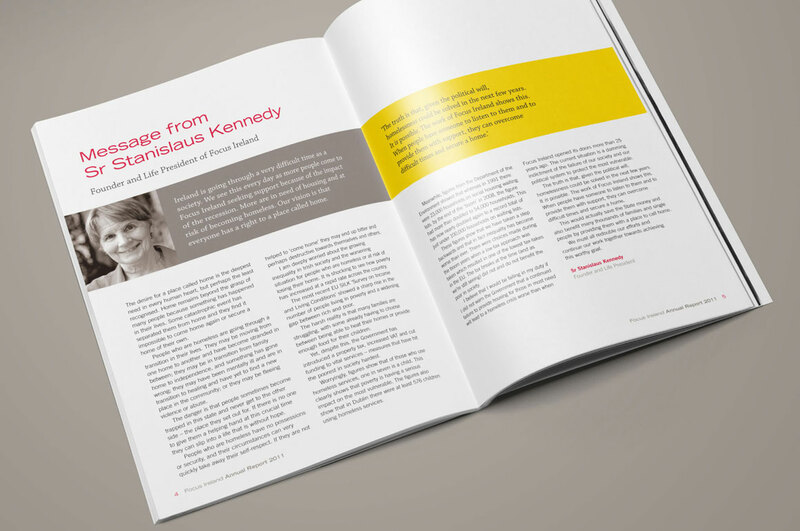 Identikit were involved in brand development and updating the Focus Ireland logo.